The Chautauqua County IDA board and staff during the Jan. 23, 2018 IDA board meeting. 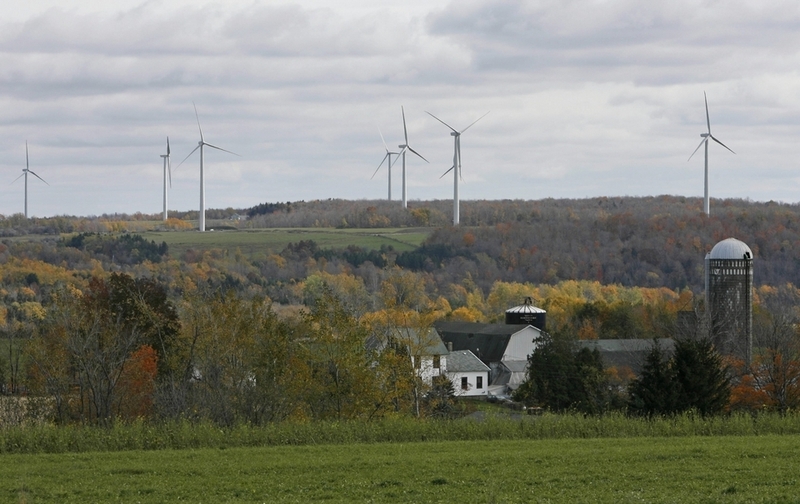 JAMESTOWN – The Chautauqua County Industrial Development Agency has given its approval to a series tax breaks to a large wind farm project in the eastern and central portions of the county. On Tuesday morning the IDA board unanimously approved a property tax abatement for Cassadaga Wind LLC project, set to be located in the towns of Arkwright, Cherry, Creek, Stockton, and Charlotte. Once built, the wind farm will include as many as 58 wind turbines, with a maximum height of 500 feet and which would have a maximum generating capacity of 126 megawatts (MW). Under terms of the PILOT plan, Cassadaga Wind LLC would not have to pay any property taxes, but would make an annual payment of $4,000 for each megawatt produced, on average, over the course of any tax year. If full capacity was achieved, the first year PILOT payment would be $504,000 and would be split up between the affected taxing jurisdictions. An annual escalator was also included. 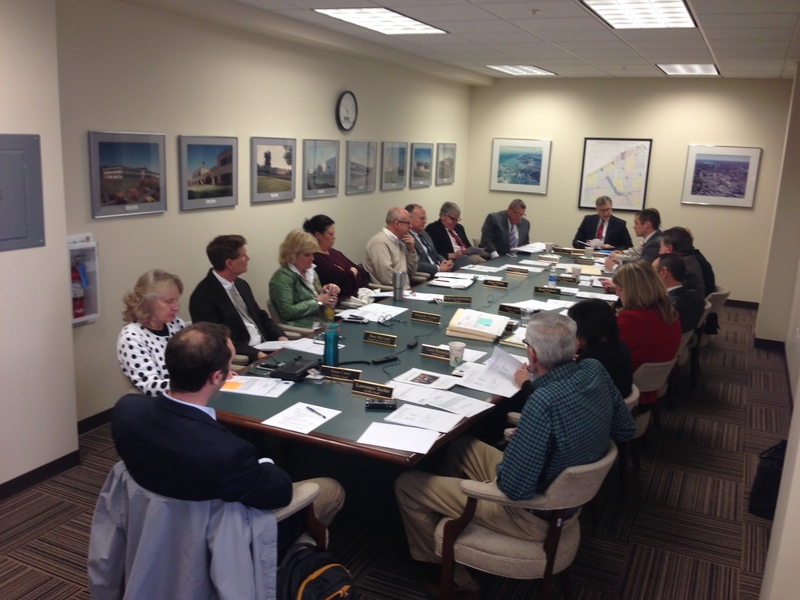 Because the tax exemption would involve a deviation from policy, a deviation hearing on the matter also took place prior to the vote with representatives from each affected taxing jurisdiction allowed to address the board. The only officials present were from the Cassadaga School District and no one spoke against the PILOT plan. With the abatement in place and with the state Siting Board giving the green light for the wind farm earlier this month, the project can now move forward. Developers say the project would have a major positive economic impact on the host communities, including creating nearly 75 to 100 construction jobs. Once operations, another 7 to 10 jobs would be in place. The majority of the wind farm will be located on private land and about 50 private property owners would also receive a payment from the company, with projections of those annual payments totaling $1,000,000. I’m sure some of you remember when NRG came to town? The seventh largest energy producer in the world bought the Niagara Mohawk electricity generation facility in Dunkirk in 1999. NRG applied for and received a PILOT agreement in spite of the fact that their records showed in the 3rd quarter of 2000 their revenues went up to $1.47 billion, from $283.6 million. Their profits were only a measly 25%. Clearly, NRG needed some tax relief from the Dunkirk school district. NRG’s 10-year tax abatement agreement resulted in a substantial loss of tax revenue to the county because Niagara Mohawk had been the largest taxpayer in the county. The loss of tax revenue to the town of Dunkirk was 40%. NRG went on to receive another ten year PILOT. And now twenty years later, they have closed. How much in taxes based on real value have they paid? The point? Beware of large outside corporations seeking tax breaks. According to the NYISO Power Trends document there are 600 wind turbines slated for this area. The easy money these large, outside corporations can gravy into their bottom line is a PILOT. If big wind is so profitable then they should be able to pay their fair share. An Oswego legislator went on to describe the many subsidies at the state and federal level that already bring wind companies’ revenue up to ap. 75%. Our county has better use for its resources.